I believe the most impactful way to connect is through listening. Each person has a unique and interesting story that should be heard. Perhaps the greatest support we can give is our attention. I consider it a privilege to provide a safe place where people discover new aspects of themselves. 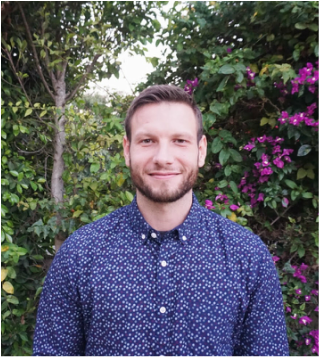 Eric Kruse received his Masters Degree in Clinical Psychology with an emphasis in Marriage and Family Therapy from Pepperdine University. Eric specializes in substance abuse and process addictions. Prior to his Masters, he worked as a counselor for Malibu Beach Recovery Center and as a Recovery Support Specialist for Intervention Allies. Eric has also worked at Paradigm Malibu, a residential treatment facility to adolescents struggling with anxiety, depression, self-harm, suicidal ideation, eating disorders, substance abuse, and symptoms of psychosis. Eric did his graduate school training at The Relational Center, a non-profit community mental health center that provides affordable counseling from a Relational Gestalt perspective. Although much of his training was in relational Gestalt, Eric takes an eclectic approach by borrowing from various modalities, such as Cognitive Behavioral therapy, Person-Centered therapy, Brief Solution-Focused therapy, Existential therapy, and Narrative therapy. Eric believes that every person has a unique and interesting story. He works towards deconstructing problem-saturated narratives and thickening thin descriptions that lead to unhealthy thinking patterns and behaviors. Eric is a Registered Associate Marriage and Family Therapist (Registration# 96249) and Associate Professional Clinical Counselor (PCCI 3431) he works under the supervision of Rachel Thomasian, Licensed Marriage and Family Therapist (MFC 51626).